Forgiveness is such a great word…and action. If only we can get there. I know it is subjective; everyone has a story, one that is so different from mine, yet so similar. No one person is better, or more deserving, of forgiveness than the next. Yet….for some of us, we feel as though we will never get there! Will we? Will we ever really truly forgive? Yes…emphatically yes! I truly believe in the possibility of forgiveness and the power of forgiveness! I know it can take time, and I know at first we are lost as to how we will ever get there! But get there we will! It takes time, it takes perseverance, and it takes love! And it takes a desire to do so. I think the biggest mistake we make is in believing it can, or should, happen quicker than is possible! We put way too much pressure on ourselves to forgive because that is what Jesus would do, or that is what God would want, or…whatever. And I think that we forget to forgive the right person. What do I mean by that? I think in some cases (many) we are so hurt by whatever it is that created this need for forgiveness; that we forget to forgive ourselves. Yes even in cases where we were wronged we probably still need to forgive ourselves (keep reading!! )….even if the forgiveness may seem misplaced because we really have nothing to need forgiveness for! Are you following me? Sometimes we are wronged (say by assault) yet, even though the other person is obviously in the wrong; I mean a victim is and never should be blamed for violent acts against them, but try and tell that to their subconscious! Victims may feel pain that is caused from their feelings of guilt and shame associate with the assault. Now maybe it is a stretch to call this self-forgiveness, and it is definitely terrible to think of a victim needing to forgive themselves, but let us just start there. Because what really needs to happen is the victim needs to let go of the situation which is causing them to feel guilt, shame, and pain. PTSD and other emotional problems can result from violent and abusive traumas. Forgiveness and love are powerful tools on the road to recovery. Can we just start with forgiving our-self? Forgiveness for the feelings we have associated with the trauma that was inflicted upon us by another? Yes….let it go. The guilt, the shame, the feelings of victim…..all these things that are causing us to stay in a victim mentality…..forgive our-self for them and learn to love our-self! A love so unconditional that we will rise like a phoenix out of the ashes that were once our suffering! So lets start with us. 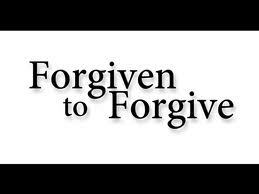 Lets start the entire process with forgiving us our faults; whatever they may be! And accepting that we are not to blame for what happened to us. And even in cases where we have to accept a certain amount of responsibility, and there are some situations like that, we still need to love ourselves enough to say ” I am forgiven” and let it go. And so how do we know if we have forgiven? If we have really let it go? That is easy! If it keeps coming up (in a negative way), if it keeps holding us back, if we continue to ruminate over it at times; then we have not let it go and we still have work to do! And that is OK! As long as we are conscious of the fact and willing to keep working at it! Forgiveness will set US free! But it takes time and a powerful love for one’s self! I can remember once telling a friend (someone I also thought of as a business partner) that I felt a deep knowing that I needed others to make my dreams happen. That, in essence, it takes a village to create change. I remember when I shared this with her it was met with dismay; and outright shock, as if it were a weakness. I can remember her feelings were that I didn’t need anyone else to create change, that I could do it alone, and how sad it was that I felt the way I did. Looking back I know that I felt shame at that time. I felt a real weakness created in me because of her reaction. Of course this was my issue; how she felt about the subject doesn’t have anything to do with me. Well….other than the fact that it was about 2 weeks later that we dissolved our friendship and our partnership (if indeed there ever was a real partnership). We definitely were/ are not compatible or of like mind. But that is how life happens; you weed out the people who you do not serve and who do not serve you. I now know that this desire in me to have other people around me, people who I can collaborate with, is not a weakness; it is a strength! I am not afraid to let others shine for the good of the whole! I want to create change! And if it takes a village then please……lead me to the village! Jeesh!! Learn to spell or go back to school! 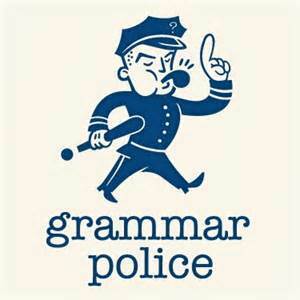 What do you get from pointing out other people’s grammar mistakes? I mean really! What is the point? When I am reading a comment that someone leaves and the spelling is poor and punctuation non-existent, I just figure it out as best I can and move on! I do not see the point in policing another person on their skills or lack of. I think it is mean-spirited. I know it may not come from a bad place, but how do you think the person on the other end of your “policing” feels when they read your comments on the mistakes they made? or how they need to go back to school? ‘Why is it when I read these comments, the mean-spirited ones, I am left feeling so bad for the original poster or commenter? I see comments daily from people who do not have the best spelling and punctuation skills, but I never feel the need to bash them for it! I decipher, best I can, and I make a comment about the subject, not their lack of skills. We are meant to encourage others and maybe you think this is encouraging! Maybe you think it is encouraging the person to get more education? It is not encouraging! It is tearing them down. Not everyone is as strong as the next person. Some people may be affected in such a way, by this criticism, that they will get educated so as not to be teased anymore. But some people (and you do not know which personality it is that you are dealing with on the other end of a computer, or in person for that matter) are weaker, this type of person may just crawl into a hole and stay there; beaten and broken by your words. For these types of people; If you meant to encourage you did the opposite. What difference does it make to your life anyway!? If you can’t read what they are saying then move on….. period! You know I’m reminded of an older woman I know. A sweet older woman, probably not unlike many of our moms and grandmothers. She is not very skilled in social media, but she has ventured out into it none the less, trying to stay up to date on current events and stay in touch with friends and family. She will, on occasion, attempt a comment or a post or two. I asked her why she doesn’t comment more often? I mean she certainly has some wisdom to share with the rest of us!! She looked at me rather shamefully and said she doesn’t like to comment because people make fun of her spelling. WOW! So maybe you think she should improve her skills? Maybe I think it doesn’t matter to you or me if she does or not. At the very least it doesn’t deserve for her to be embarrassed by others due to her lack of skills! It’s her choice. But it is also our choice to lower ourselves to such a level that we make fun of people for spelling errors, punctuation errors, etc….. I mean, if that is what you want to do…OK. I don’t have to like it nor be a part of it, and that is my choice. And it is. And I will not take part in that conversation.